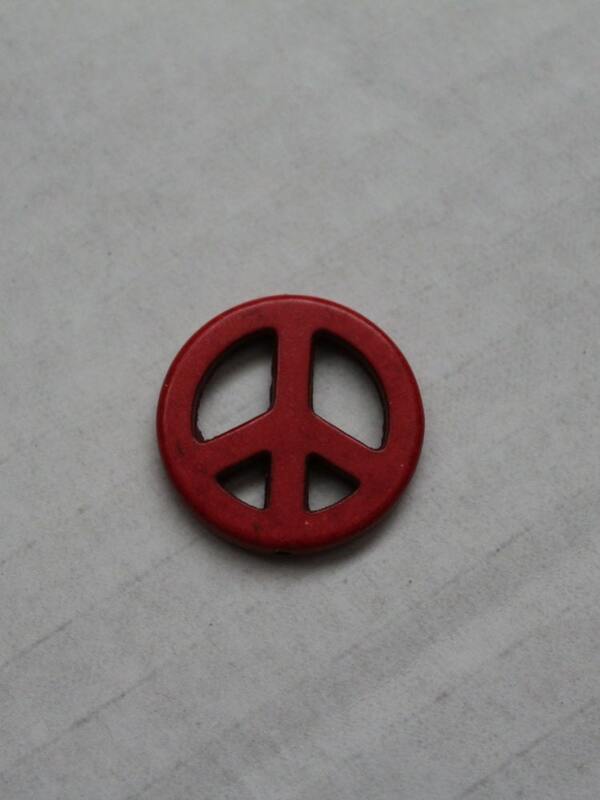 Are you planning your next jewelry craft and looking for a peace sign? 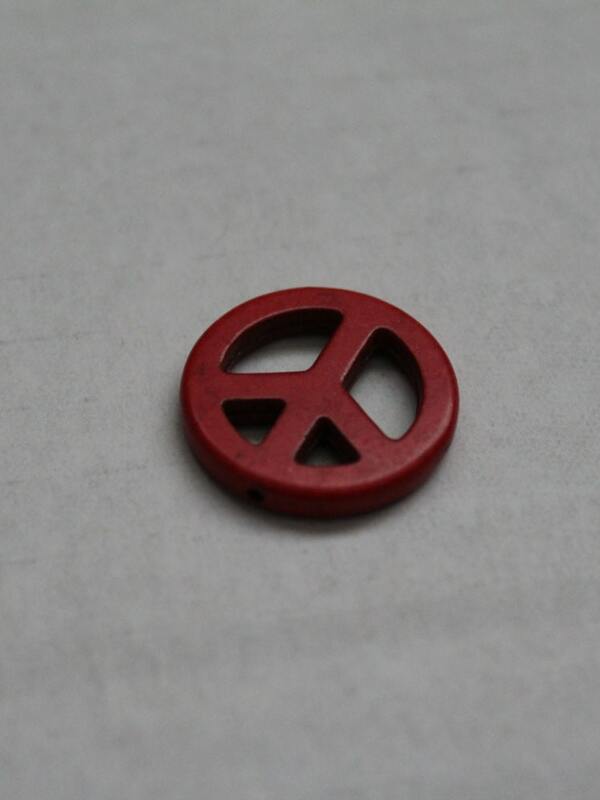 This reddish, 25mm peace sign bead, may be just what you're looking for! It is of substantial size, is a eye catching color, and so affordable! Depending what your crafting plans are, I've including various purchasing packs at discounted rates in case you need 1, 2, or 10! The holes in this bead are at the top and bottom. The third picture shows where the hole on the bottom is located. 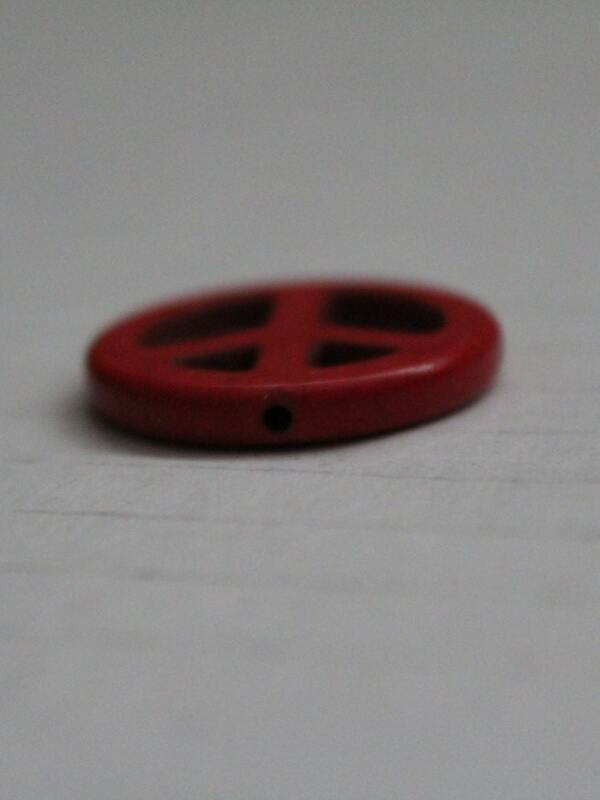 Love the Red Peace Sign Bead. Thank you! Great Bead. Love the color!